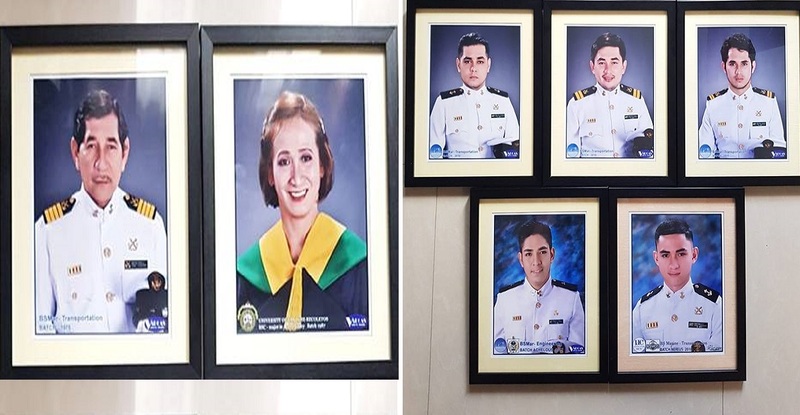 When Khevin Martinez shared a photo of his family on Facebook, a lot of netizens were impressed after seeing that all of the family’s children have grown up to become seafarers like their dad. The family has since gone viral for their inspiring #FamilyGoals story. Khevin shared with The Summit Express that their father, Rafael Martinez, had been a 2nd mate on board internationally but he also became a Captain in locally owned vessel. He has since retired from being a seafarer but his legacy lives on with his children, all five of whom shared the same passion and finished seafaring courses. His wife, Divina Martinez, had been a homemaker who was left alone for years because her captain husband and their seafarer kids had been out at sea but since Sir Rafael retired, the two are enjoying more time together and have even found their calling in serving the people in their village in the province of Leyte. Sir Rafael is currently the Barangay Captain while his wife serves as Barangay Councilor. While a lot of parents force their children to follow in their footsteps, none of the Martinez kids were forced to become seafarers like their dad. In fact, their mother wanted them to try some other career, such as nursing and engineering but none took those courses up. They end up choosing to become seafarers, just like their dad. 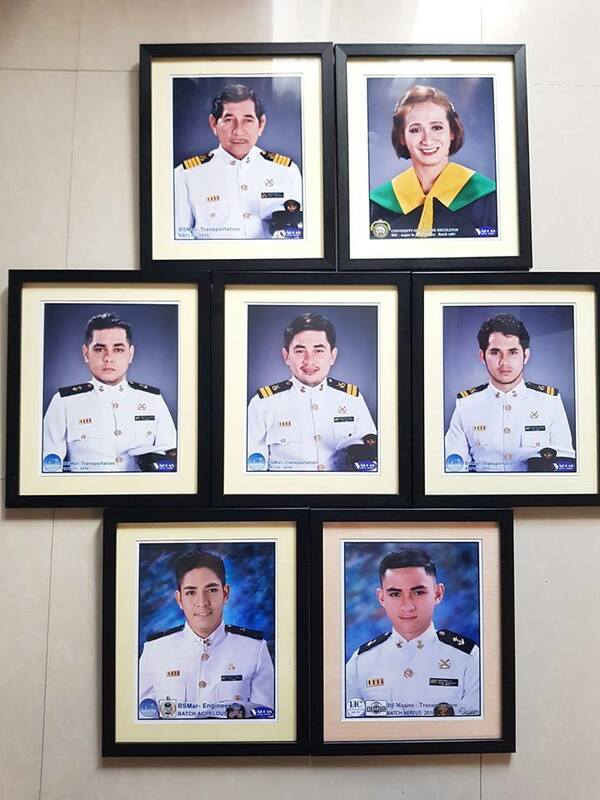 All the Martinez kids completed their seafaring courses in Cebu City where they had all been born. After completing their education, everyone was able to go out and see the world, quite literally as seafarers in international shipping lines. Recently, they had the chance to enjoy a reunion as everyone was home – and they quickly grabbed that chance to take a family photo. 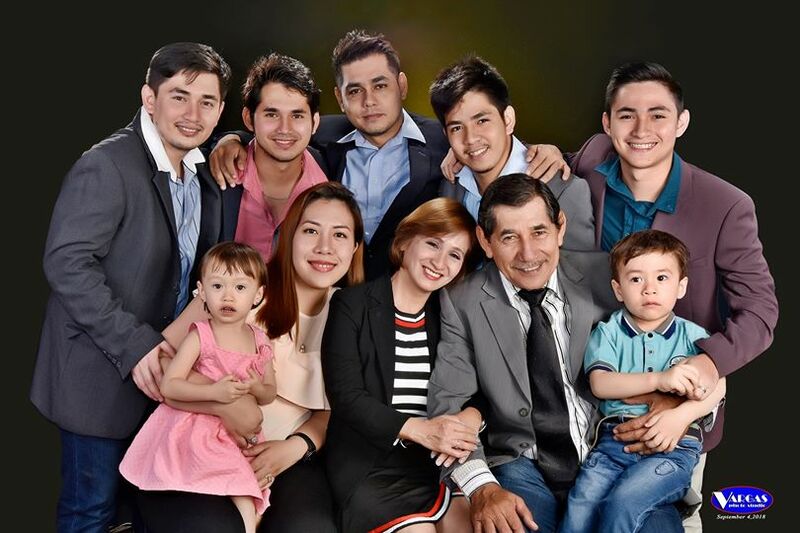 According to Khevin who happens to be the middle child, the younger woman and the kids in the photo are the family of their second eldest brother. Congratulations to the inspiring Martinez family! Perhaps the grandkids are going to be seafarers, too?